The Arizona Game and Fish Department has developed a number of exciting, standards-based lessons for all grade levels. All lessons and activities are provided free. The lessons come in a variety of formats. 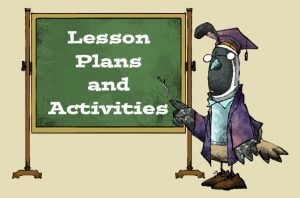 Most activities contain complete lessons plans along with all appropriate resources and worksheets. These can be downloaded as PDF documents or are available as an online, interactive version. Those activities that were developed along with the posters are simply descriptions to give you ideas. They may need to be modified slightly to better fit your classroom. America’s Wildlife: Yesterday, Today and Tomorrow – In this high school unit, students explore the history of wildlife conservation in the context of American history.